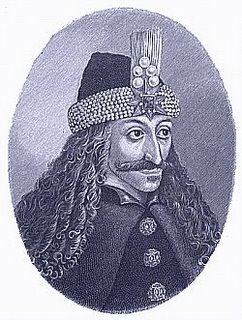 The background of this story is the myth / legend of Count Vlad Dracula (son of count Dracul) ‘nicknamed' Vlad Tepes (Vlad the impaler). Vlad was, as the film tells us a warlord in the 15th century who fought the Turks. According to the myth he drank the blood of his victims and impaled them. A lot of information about Vlad Dracula was later gathered by Irish writer Bram Stoker, who, combined it with myths of vampires into this tale of the well known blood - sucking Vampire. Stoker read the stories about Dracula printed in the 15th and 16th centuries and was struck by his acts of cruelty. He decided to make him his character; he also read several books about Transylvania (a name of Latin origin, meaning "the country beyond the forests"), and thought that this "exotic" land would make a proper setting for Dracula's deeds. In fact, Stoker used Vlad only as a source of inspiration, since in his novel, Dracula is not prince Vlad the Impaler, but a Transylvanian count living in a mysterious castle where he lured his victims. His story takes place in the Bistritza area, and the castle lies near the Bârgau Pass (in the Carpathian Mountains). As Stoker had never visited Transylvania, most places and happenings were pure fiction. Ruins of the Royal Place and Chindia Tower in Tirgoviste, the capital during Vlad Dracul's reign. If you have another trip to the Bahamas planned for next Christmas and are a fan of Stoker's literary work, maybe should you reconsider your decision? Thanks for a great read - it evokes memories of tearoom bioscopes and old black-and-white Dracula movies! More details and photographs of Bran Castle can be viewed at trivago. Enjoy!